Stainless Steel - WHY ? 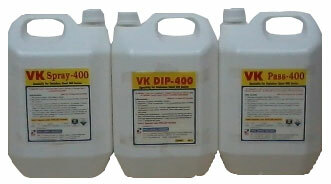 "NOVEL" makes VK ® chemicals for Pickling and Passivation of Stainless Steel for specially 400 series / grade SS. NOVEL also manufacture Fumeless Pickling Passivation and Cleaning chemicals in Gel, Spray Gel, Liquid for Ferritic Stainless Steel , Martensitic stainless steel, Duplex and Super Duplex stainless steel, High Nickel Alloys like Inconel and Hastelloy, Titanium metals. Copyright © 2013 Novel Surface Treatments. All rights reserved.